TED talks are a great source of inspiration and knowledge. Though they only became really popular a few years ago, TED — Technology, Entertainment, and Design — actually started in 1984 as a series of short conference talks, most under 18 minutes. These talks all have key takeaways that can be quite useful to anyone in any field. Many of the lessons are particularly applicable to the world of a marketer. It is our job as marketers to communicate sometimes complex information, to convey strategies that help people make decisions, and to share it all in an entertaining way. Stories aren’t widgets and marketing isn’t always predictable. We must draw on the insights about our audiences, the buyers, and what our goals are. 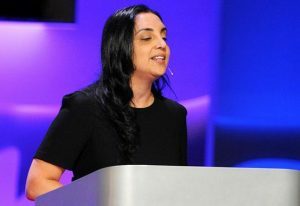 Some of these TED Talks may not be from the past year, but these are timeless pieces of inspiration about those interactions with some great takeaways. They address the simple things that make up the complexity of people and their relationships. Use these TED Talks for engagement as they continue to inspire creativity, challenge you, and encourage personalization. If you’re looking for #MondayMotivation, #TransformationTuesday, #WednesdayWisdom, #ThursdayThoughts, or #FridayFeeling nuggets, tap into these 10 TED Talks selected just for you. With help from some surprising footage, Derek Sivers explains how movements really get started. (Hint: it takes two.) 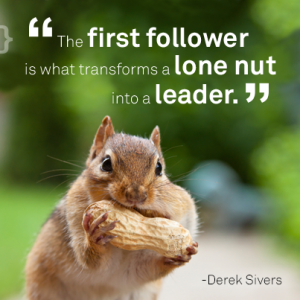 It takes a leader to start and then a collection of followers which you need to nurture in order to keep them. Leadership is over glorified, but it’s the followers that transform. Have the courage to show others how to follow. 3 minutes, 9 seconds. A Marketer’s worst nightmare is not being found. If your website is all of a sudden not found, then your credibility can suffer. 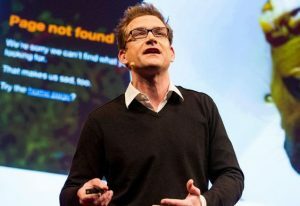 Nobody wants to see the “404: Page Not Found.” But as Renny Gleeson shows us, while he runs through a slideshow of creative and funny 404 pages, every error is really a chance to build a better relationship. Focus on what you are, don’t worry about what you are not, and remember you must be found. Renny emphasizes, “Little things, done right, matter. Well-designed moments build brands. A simple mistake can tell me what you aren’t. Or remind me why I love you.” 4 minutes, 7 seconds. Kevin Allocca is head of culture and trends at YouTube, and he has deep thoughts about silly web video. 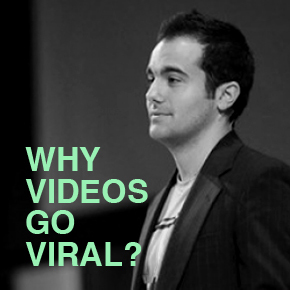 In this talk from TEDYouth, he shares the four reasons a video goes viral. Tastemakers, like celebrities and thought leaders, introduce us to new and interesting things. Communities form and share things that resonate within their circles. Then there’s the participation and “unexpected” factor. 7 minutes, 20 seconds. Maybe physics and marketing don’t have a lot in common (in fact most of us went into marketing to avoid physics), but you have to be able to communicate more intricate information and that’s where Don Cobley hits the intersections with ease. Most of us in marketing come from different backgrounds before we find our home. There are parallels in marketing, just like in physics as Don points out,“No matter how much you’ve invested in your brand, one bad week can undermine decades of good work so be really careful to avoid the screw-ups that can undermine your brand.” 7 minutes, 38 seconds. When your job hinges on how well you talk to people, you learn a lot about how to have conversations — and that most of us don’t do it very well. Celeste Headlee has worked as a radio host for decades and knows the ingredients of a great conversation: honesty, brevity, clarity and a healthy amount of listening. May 2015. 11 minutes, 44 seconds. 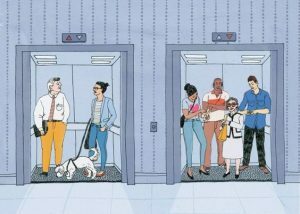 “When you talk to strangers, you’re making beautiful interruptions into the expected narrative of your daily life — and theirs,” says Kio Stark. “For a minute, I felt like my existence as a person, was noticed.” In this delightful talk, Stark explores the overlooked benefits of pushing past our default discomfort when it comes to strangers and embracing those fleeting but profoundly beautiful moments of genuine connection. February 2016. 11 minutes, 52 seconds. We all want customized experiences and products — but when faced with 700 options, consumers freeze up. With fascinating new research, Sheena Lyengar demonstrates how businesses (and others) can improve the experience of choosing. Her 4 key tips: cut, concretize, categorize, and condition. 16 minutes, 5 seconds. Ideas that spread, win! How do you touch people so they remember your brand and what you stand for? Figure out what people want. In a world of too many options and too little time, our obvious choice is to just ignore the ordinary stuff. Marketing guru Seth Godin spells out why, when it comes to getting our attention, bad or bizarre ideas are more successful than boring ones. The design is free when you bring things to scale and you must be remarkable. A classic TED Talk. 17 minutes, 1 second. 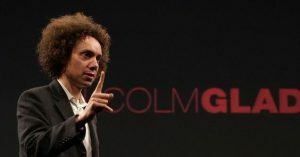 “Tipping Point” author Malcolm Gladwell* gets inside the food industry’s pursuit of the perfect spaghetti sauce — and makes a larger argument about the nature of choice and happiness. By being aware of these data points, we can appeal to our customers’ feelings and needs. A classic TED Talk. 17 minutes, 30 seconds. *Haven’t heard of Malcolm Gladwell? Check out his books, Blink: The Power of Thinking Without Thinking and Tipping Point: How Little Things Make a Big Difference. They’re must reads. Want to hear a TED Talk with funny accents, strong narratives, and amusement that will catch you off guard with jokes? Filmmaker Andrew Stanton (“Toy Story,” “WALL-E”) shares what he knows about storytelling — starting at the end and working back to the beginning. Make people care and ensure that your content is engaging. (Note: Contains an instance of graphic language.) February 2012. 19 minutes,16 seconds. Originally posted on Channel Chatter, Submitted by Lindsay Saunders. Lindsay is Zift's Digital Marketing Manager. She handles all things digital from content to website updates and social media strategy.